The Verkhovna Rada has passed changes to the Criminal Code and Criminal Procedure Code regarding the application of the provisions of Article 19 of the United Nations Convention against Corruption to the national laws. The bill was favored by 310 parliamentarians. 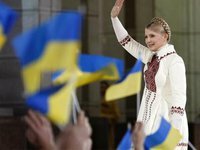 The bill will allow the release from prison of former Prime Minister Yulia Tymoshenko, the parliamentarians said during the debate.